Are you a young person striving to make the world a safer place? Apply for the Sarah Beth Therien Memorial Scholarship, a one-time award of $2,000 recognizing safety leaders among Canada’s youth. The Canada Safety Council and the family of Sarah Beth Therien created the memorial scholarship in 2013 to honour the memory of Sarah Beth Therien. 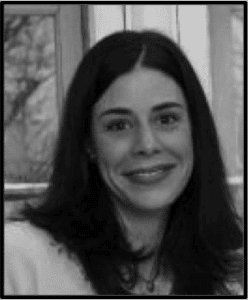 Sarah Beth was a valued employee of the Canada Safety Council and a passionate advocate for children’s and traffic safety when she died of an unexpected heart arrhythmia on June 17, 2006. She was 32. Colleagues remember her as a kind and generous spirit who was always ready to help others. Before her sudden illness, she had made her family aware of her desire to be an organ donor. But her condition was classified as a “cardiac death,” and under existing Canadian medical protocol she would not have been eligible to become an organ donor. At the time, the Canadian medical community only accepted organ donation after brain death, for example, from strokes, injury, or trauma. When it became clear that Sarah Beth would not recover, her parents, Emile and Beth Therien, lobbied strongly to have the wishes of their daughter honoured. After their heart wrenching decision to remove life support, Sarah Beth became the first Canadian in nearly four decades to donate her organs after cardiac death. The gift of her kidneys gave back active, productive life to two individuals, and her corneas restored full sight to two more. Sarah Beth’s death marked a new era of organ donation in Canada, and more than 1,000 transplantations from cardiac death donors have been performed since. The competition for the Sarah Beth Therien Memorial Scholarship is open to Canadian citizens and permanent residents who are full-time undergraduate students, or graduating high school students entering a recognized post-secondary program in September 2019. To apply, write us a short essay (500 to 700 words) explaining how you improve safety in your community, and complete the application form. Click here for the full instructions and application form. Applications will be accepted until June 30, 2019.